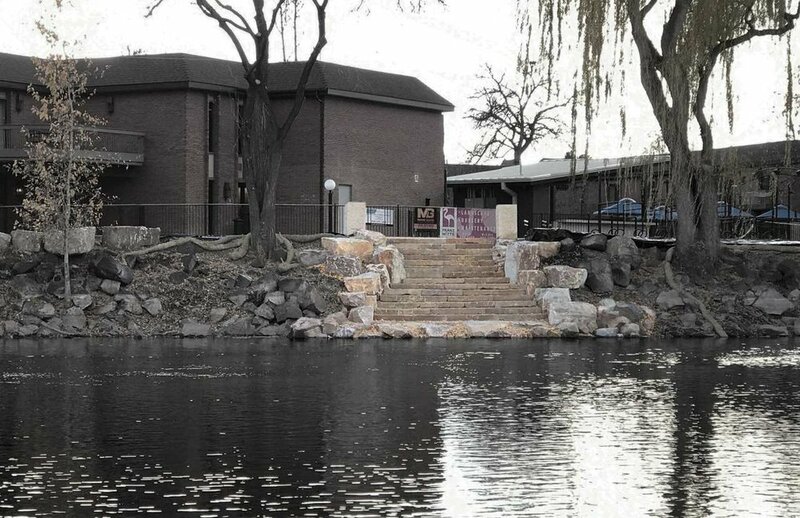 Riverside Hotel River Access — The Land Group, Inc.
Riverside Hotel’s vision for river access now comes to life! 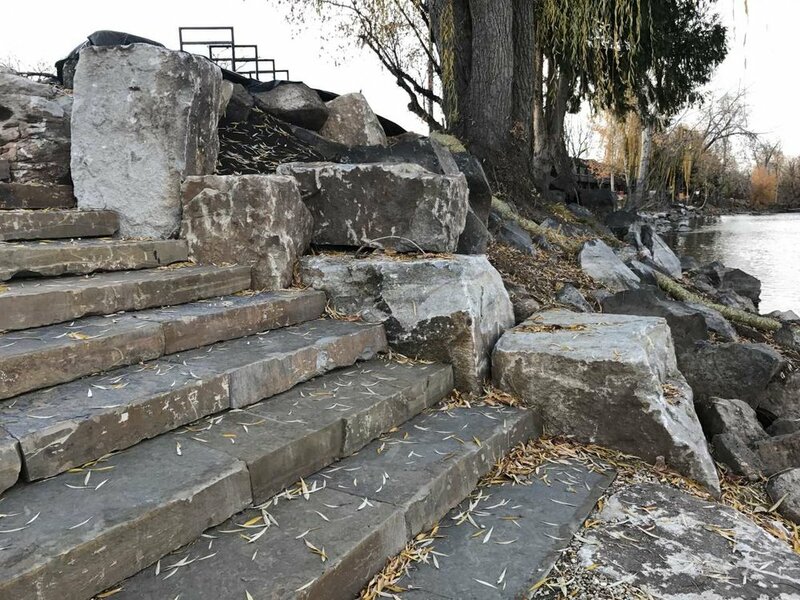 The stone access stairway was recently implemented on the Boise River Greenbelt, next to the ever-popular Sandbar Grill. 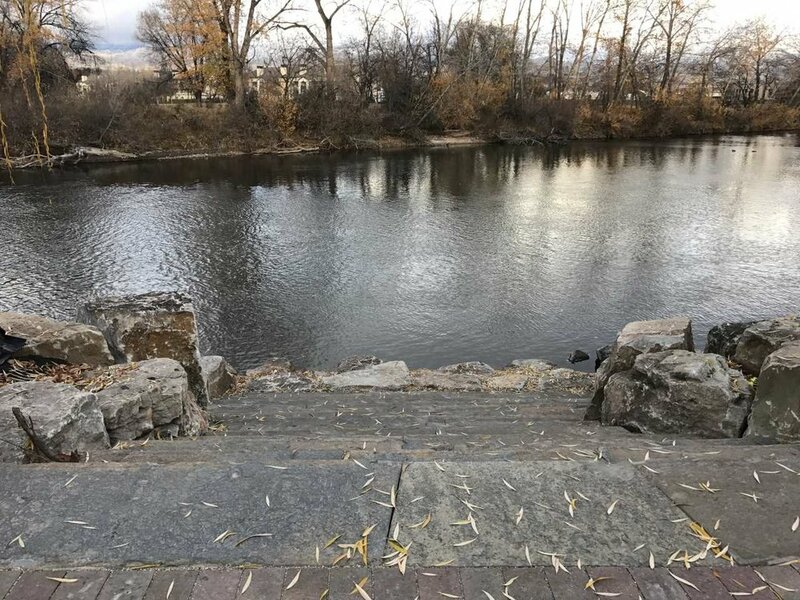 The takeout can be accessed by the public, providing a strategic location for river access for fishing, paddle boarding, tubing etc. 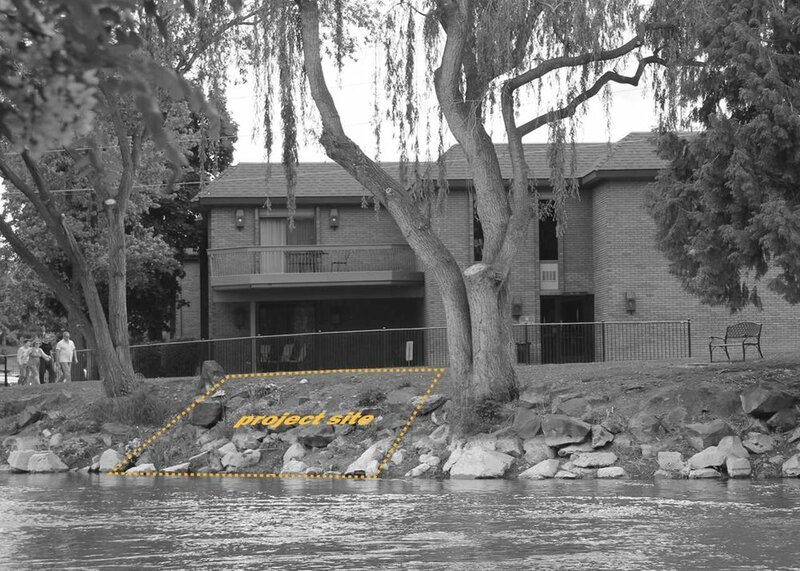 In addition to the takeout, revegetation of the riverbank with native species was a key focus of this project. 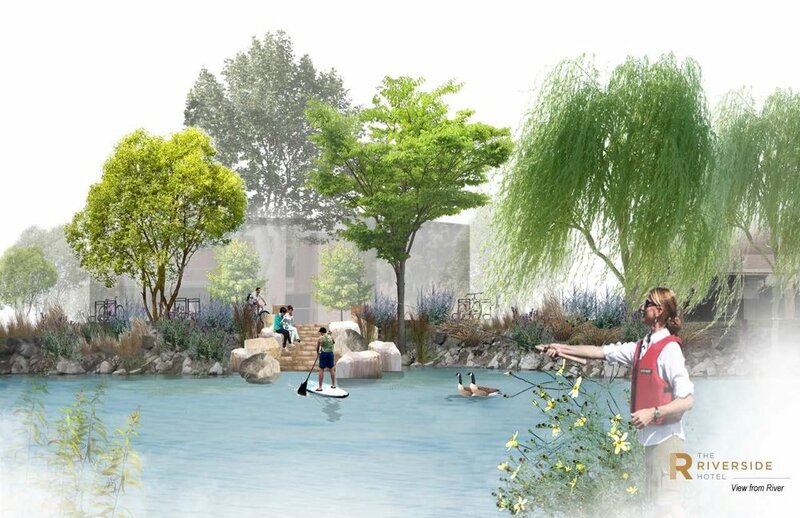 The Land Group’s design for this exciting project is revealed in these renderings.